If you have to ask how much a Ferrari costs, it may not be the car for you. An investment in aesthetics and performance, a Ferrari is more than an automobile; it’s a marker of excellence. Models like the Ferrari Portofino can start in the lower $200,000s while the 488GTB and GTC4Lusso start in the mid- and high-$200,000s, respectively. The cost of your Ferrari will depend on the personal touches you take to customize it for your comforts, too. This was the case in 1939 when Enzo Ferrari broke from Alfa Romeo’s racing division, in 1947 when the first Ferrari-badged automobile was produced, and today, in the Ferrari Lake Forest showroom. Ferrari has made a name for itself — in fact, Brand Finance named it the most powerful brand in 2014 — but you will find something more when you first drive home from Ferrari Lake Forest. In 1923, Benjamin Mancuso started the family in the auto business, and in 1981, Rick Mancuso started what would become Ferrari Lake Forest in a small but charming storefront in downtown Lake Forest. Three generations of automobile lovers have brought us here, to our newly renovated 70,000 square foot facility. 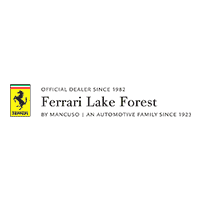 The confidence, dedication, and integrity of the Mancuso family are ingrained in Ferrari Lake Forest, and you become a part of that family when you find your Ferrari here. We know why some drivers ask “how much does a Ferrari cost,” but we think better questions to ask are “which Ferrari should I drive,” “how fast is a Ferrari,” or “should I pursue a classic or modern Ferrari California?” Discover yours at Ferrari Lake Forest, and we can talk about the price and financing options once we find the exact model and features for you. 0 comment(s) so far on How Much Does a Ferrari Cost?